Smyrna to get new Publix Supermarket. The wait is almost over! The former Jonquil Plaza, which was razed and then left dormant for basically a decade, is currently being redeveloped and has secured Publix Super Markets as its anchor tenant. Located at the corner of Spring and Atlanta Roads in Smyrna, Jonquil will include a 45,600 square foot Publix, Willy's Mexicana Grill, 260 apartments and a number of other retail and restaurant tenants. 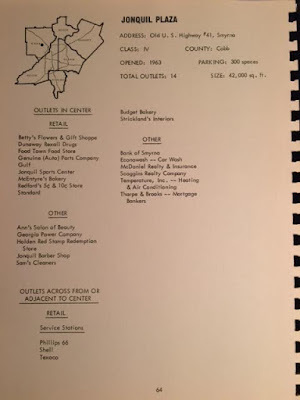 Jonquil Plaza opened in 1963 with 14 tenants across 42,000 square feet of retail space and provided 300 parking spaces. 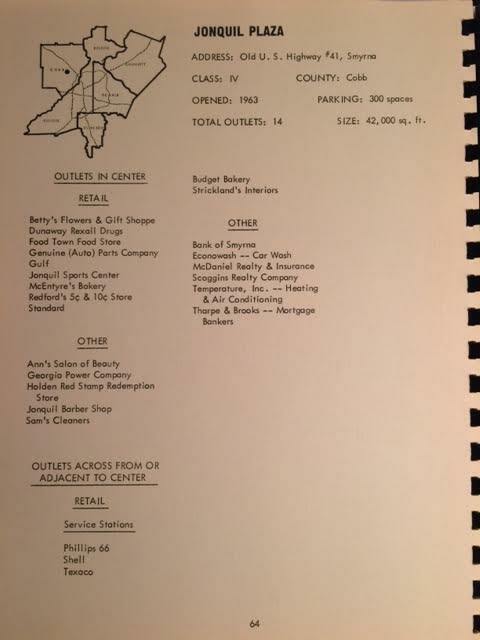 Among the more notable tenants were Dunaway Rexall Drugs and Redford's 5¢ & 10¢ Store as well as both Gulf and Standard gas stations. Atlanta-based Halpern Enterprises is developing the property and plans to have it open next spring, just in time for the start of baseball season. The Braves new home, SunTrust Park, is about ten minutes from the Jonquil project. Jonquil is not the only Publix anchored project to have taken upwards of a decade to get green-lighted. Less than seven miles from the Jonquil project, Edens is currently under construction on Moores Mill, a redevelopment of Moores Mill Center. Like Jonquil, the center will be anchored by a 45,600 square foot Publix Supermarket. Like Jonquil, the redevelopment was caught up in setbacks and unforeseen delays for about a decade. Ground was broken on the project this past March, and is expected to be completed next spring. Halpern is building another Publix anchored center, Dawson Crossroads, in Dawsonville, just south of the North Georgia Premium Outlets. Dawson Crossroads is expected to be completed later this fall. Nearby Belmont Hills shopping center is also being redeveloped by Halpern Enterprises. Jonquil, like Belmont, will have an apartment component developed by Wood Partners. The complexes will be known as Alta Belmont and Alta Jonquil respectively. Are you excited for the redevelopment of Jonquil Plaza? What else would you like to see open in the center? What is your oldest memory of Jonquil Plaza? I could not help but laugh out loud at this. Glad it's finally happening. It was always planned for a Publix but the housing back in 2007 was planned as senior living. I remember the former developers canvassing the market for a 95% equity investor at the time and my firm couldn't get on board. Back then you could drive around Smyrna and see PVC Pipe forests of abandoned townhome developments. Very clearly recall a wooden ramp leading up to a temporary sales center trailer...except the portable bldg was long gone and the ramp went to nothing but 5 ft tall weeds. Sigh... Publix is a let-down for this spot. I live off Atlanta Road and have multiple Publix locations near me. Willy's is good... but there is a Moe's across the street. Hopefully some good dining options land in the rooftop spots. If not this will just be blah. 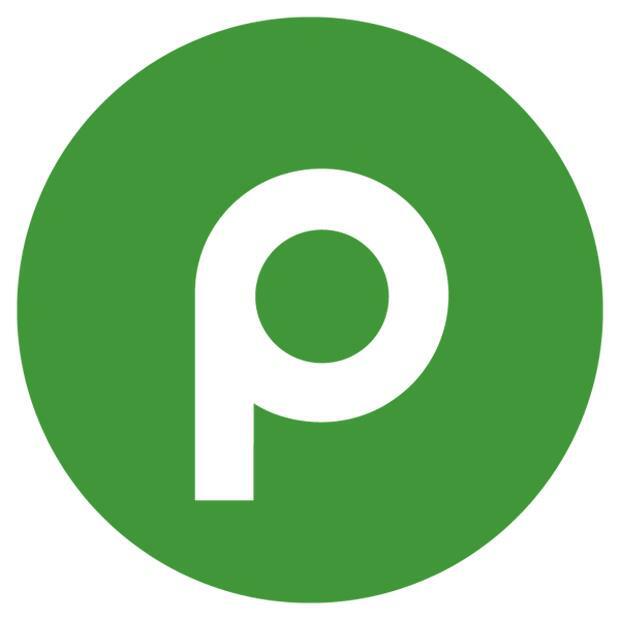 @John Payne - While there are Publi (my plural version of Publix) everywhere, that area can use a Publix. Yes, a Whole Foods could've been cool, but supposedly a "Health Food Market" may be going in next to Home Depot HQ at the corner of Spring Hill Pkwy & Paces Ferry Road. I live walking distance from Smyrna Market Village and am thrilled to have that Publix coming in. Yes, there are 2 Publi both 3 miles away (Vinings & South Cobb Drive just North of Windy Hill) but in this part of town, 3 miles is a decent drive for a grocery store where many places there are grocery stores right across the street from each other. I predict this Publix will do very well and will pull customers from the Kroger at South Cobb and Concord. I do agree with you that I hope there are some good dining options. And while boring since it's another chain, I think a Starbucks would do gangbusters there. I'll second what John Payne said. Another Publix in the area is very disappointing. Smyrna and Vinings need a Freah Market, Whole Foods or Trader Joe's. I would've taken an Ingles over yet another Publix. Anyway, with a planned opening of spring 2017, it will be interesting to see if they get it finished before the economy collapses again. Now, if they'd just do something with that abandoned half framed site on Concord Rd. @aj yeah that whole foods isn't happening on Paces Ferry, the logistics were too complicated...instead they're adding more 700k+ townhomes! Yay! It's amazing there are so many experts here who know what should be done with other peoples' property. And how did the foolish people who don't know what to build get control of so many properties? Anonymous May 24, 2016 at 10:22 PM must be a clueless paper pusher for a developer who does not live in this community. @Kev - I assume you're exaggerating with the number of townhomes, but where did you hear this? I did some google searches and can't find any recent updates. I'm curious as I do work at HD HQ. I think Kev meant 700K as the price of the townhomes, not the number of them that will be built.